Oxford Dictionary: reasoned arguments or writings in justification of something, typically a theory or religious doctrine. Plato ? Thomas Aquinas ? R.C. Sproul, etc. Cosmological argument, Teleological argument, Ontological argument, etc. B. B. Warfield, John Warwick Montgomery, Clark Pinnock, etc. rst assumed as the starting point. God is both the premise and the conclusion of the Presuppositionalist’s arguments. There are also Classical apologists who will utilize the transcendental argument, however, in order to do so they must be inconsistent with their belief in man’s autonomy. Presuppositionalism is the biblical apologetic used by Paul at Mars Hill. It is the only way to reason with a nonbeliever in such a way that he is not made autonomous. All evidential and Classical arguments must be framed in a presuppositional way in order to answer a fool according to his folly. Prove a bare-bones or mere Christianity by proving that certain things in the Bible are accurate based on modern historical method. Prove the biblical or reformed Christian worldview as a package deal that cannot be rejected without appealing to logical absurdity. 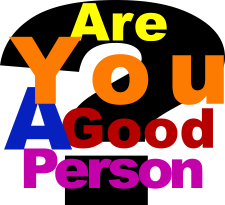 Ethics (or Value) Theory: What types of things are good or bad? The three components of philosophy depend on each other. A system that attempts to answer all three questions in a consistent way is called a worldview. 1Apologetics – Wikipedia, the free encyclopedia, n.d., http://en.wikipedia.org/wiki/Apologetics#Etymology. 2 S.B. Cowan, S.N. Gundry, and W.L. Craig, Five Views on Apologetics, Counterpoints: Exploring Theology (Zondervan Pub. House, 2000), 15. 4Evidential Apologetics | Christian Apologetics and Research Ministry, n.d., http://carm.org/evidential-apologetics. 5Cowan, Gundry, and Craig, Five Views on Apologetics, 16-17.